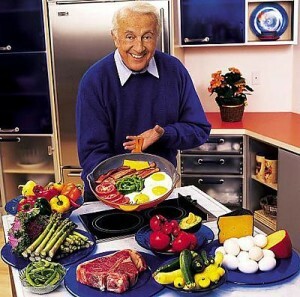 The Atkins Nutritional Approach is a low-carbohydrate diet that was originally developed by Robert Atkins. The Atkins diet was created when Robert Atkins read a research paper in the Journal of the American Medical Association published by Dr. Alfred W. Pennington. The title of this research paper was “Weight Reduction” and it was published already in 1958. Robert Atkins used the research paper as a base for his own weightloss. In 1972 Robert Atkins published his first book in the subject, called “Diet Revolution”. In 2002 Atkins released his second book “New Diet Revolution” where he had made som modifications to the diet but the basic concepts were kept the same. The latest versions of the Atkins diet has been authored by Dr Phinney, Dr Westman and Dr Volek. The main idea about the Atkins diet is to lower the consumption of carbohydrates. By reducing the amount of carbohydrates the body will switch its metabolism from metabolizing glucose as energy source and instead use fat as the main source to create energy. This process is called ketosis. Ketosis begins when the insulin levels in the body are low. In most people the insulin levels are usually in their lowest levels when the blood glucose is low. The reduced glucose levels will make the body start using fat to produce ketone bodies. In the first book from Robert Atkins he made the argument that using a low carbohydrate diet would be benifitial for the metabolism due to “burning fate takes more calories so you expend more calories”. He based his statement on a study where it was estimated that this advantage was close to 950 calories per day. Later studies have shown that there was no such metabolic advantage. The main idea behind the Atkins Diet is to restrict the amount of “net carbs” that are consumed. The effect is a a decrease of hunger, this might be due to that fat and proteins take longer time to digest than carbohydrates. This is also a big difference from normal low fat diets fail, where people usually stay hungry and have a harder time sticking to the diet.